'YouTube' is the most popular video streaming service that any internet user is aware of. The videos in it are being protected with policies including child safety. So as per them, it won't allow videos that are not recommended for users under 18 years. You might have came over this issue when you tried to watch the videos from YouTube without signing in. But signing in at all times is definitely not a smart move to go on with. Note: This article doesn't motivate children to bypass the restriction, but to enable the quick access to YouTube service. Amfas Tech is not liable to the consequences there after. Follow the process carefully to access 18+ YouTube videos without signing in. Step 2: Observe here the code gHGDN9-oFJE represents the video you wanted to watch. Step 3: Simply add ?fs=1& at he end of the video code in the URL. This removes the 18+ restriction on that video. The time has come where you need not to search, download and install any third party software to download YouTube videos if you are living in these three Asian countries, India, Indonesia and Philippines. The worlds biggest video-sharing website, YouTube have tampered the buffering wheel to run smooth in the tough mobile data routes of the countries of India, Indonesia and Philippines. It allows mobile internet users of these countries watch videos offline by downloading them in to their accounts. It is good to know that YouTube app allow us to save videos for offline viewing, but will it allow us to do so if we are using BlueStacks App Player? Open the BlueStacks App Player on your computer and click on Search icon > search for YouTube official app, download and install it. Open the YouTube app on your BlueStacks player and open the video you wanted to watch. You could see a download icon being visible under the video like as shown in the below screenshot. It will notify you when using the YouTube app for the first time. Clicking on the download icon under the video will ask you to choose the quality with which you wanted to save it. Ticking on the Remember my settings will not ask you the quality in future downloads. Clicking on Ok button will start downloading the video in to Offline section in the menu options. Click on Show me button to go to the offline section directly or you can navigate from Menu > Offline by dismissing the message. You can now see the video being downloaded in to your offline section if you enter in to it. When the download is done, click on it to watch as usual but with no buffering this time. YouTube is more optimistic about application and promises users to bring more affordable accessible ways to access videos for its growing mobile users. It is quite interesting and hope to see better side of it by the next improvisation. What do you think? Is offline download feature is good? Share you thoughts in comments below. YouTube has made changes to its buttons under video and little design tweaks to the user interface. The ‘about’, ‘share’ and ‘add to’ tabs were summarized to a single pane with no tab-switching feel and look. Take a look at the following screenshots of old and new buttons respectively. Let’s take a tour of the newly tweaked design. The ‘about’ tab usually used to show the description of the video and its published date. It will now be automatically displayed under the video when it is loaded. The ‘Add to’ feature was tweaked and promoted forward in the new design. A ‘+’ was added to the button symbolizing the feature. The share button was also preceded by the symbol and the sharing options were not changed. The statistics button and the report flag were compressed under ‘more’ button there by giving space to insert the ‘likes’ and ‘dislikes’ buttons in the same panel. It gives heart attack when you find one or some of your awesome videos you have created, being alive on another channel. You might have spend a lot of time in creating it. Someone else copying it without any proper authorization hurts. I know how that feels. YouTube allows users to report the videos they feel inappropriate, under different causes. When you find a video infringing your copyrights, you can choose the copyright infringement cause under the causes right below the video. To report a video, simply open the duplicate video(copied video)URL in the browser and click on the report flag symbol under it. When you click on it, it shows the following options to report against. Select ‘Infringes my rights’ option and it will ask you to choose one among the 3 kinds of infringements. Select ‘Infringes my copyright’ option as we are talking about reporting against infringement of copyrights for now. Click ‘Submit’. A new tab/window showing you information on copyrights infringement of your YouTube videos is opened. If you believe your copyright-protected work was posted on YouTube without authorization, you may submit a copyright infringement notification. These requests should only be submitted by the copyright owner or an agent authorized to act on the owner’s behalf. The fastest way to file a complaint against copyright infringement is done by submitting the web form provided. Click on ‘Submit a Copyright Complaint’ button to access the complaint form. Click on ‘Copyright infringement(Someone copied my creation)’ option. It again shows up 3 options of which one should be chosen. If first or second options are chosen, you will be asked for the URL of the allegedly infringing video to be removed along with the URL of the original video. Give the URL of the duplicate video and your original video and choose a cause. For e.g., I have selected ‘My YouTube video was re-uploaded by another user’ for demonstration in this article. You can also choose to report the entire video or a part of the video against infringement. Use ‘+Add Another Video’ button to report more than one video in one single submission. The next part of the form has to be filled with your details. Fill in the details with correct credentials and make sure you are reporting the copyright issue with the authenticated email ID shown in the bottom left of the form. Digital signed declarations has to be given before submitting the form. YouTube takes every complaint very seriously. You should not make false claims in this regards. Misusing of this process may result in the suspension of your account or other legal consequences. One should agree the fact that your YouTube channel is one of the million existed channels of which viewers choose to watch a video or entire playlist from. In that case you should be proud of creating something that earns attention of the viewers. If you found your videos not getting multiple figured views, it would be your fault not the one who searches for it. In this article, I’d talk about 3 best practices that would increase views and change the shape of your channel. Content is the king of web ever. If the whole SEO should depend on one major consideration, that would be the ‘content’. Creating wonderful content would help you get more views on YouTube at most. This is the great way indeed. If you create a video that is most wanted or make something creative that attracts the viewer’s attention, it may go viral with in a blink of the night. Because many YouTube stars born over night this way. So think something creative today! Subscribers are the best way to increase your video views. They play a critical role in making you succeed on YouTube. When you are creating original, beautiful and attractive content, subscribers are the fastest way to increase the watch time and your views. Subscribers spend more time watching videos on YouTube than a casual visitor. The only person who would be interested in your content and would be coming to watch a video you’ve just uploaded is a subscriber. So how are you going to get more subscribers? It is easy! setup your channel in a way that helps people subscribe and create original & interesting content that pulls attention of the viewers and convinces them to subscribe to your channel. You might have seen some channel on YouTube set up with eye catching design and appealing titles. For e.g., You would choose to click on the title ‘Earn $50 a day with AdSense’ rather than clicking on ‘Earn more with AdSense’. That doesn’t mean the second title isn’t appealing, but it is not that much attractive than the first one. Setting up a channel appealing constitutes adding the web links, channel art, channel trailer and sections of the videos you have uploaded. Adding web-links would help the viewer find the uploader on a website or social network. It is important as it elevates your channel’s good reputation at viewer. Create a trailer for your channel branding your channel name and its features. This gives a quick knowledge about your branding. These 3 are not the only best practices to increase views on YouTube videos. Only the top three were put before you. Should I add/remove a ‘practice’ from this top 3? share your thoughts in comments. Everyone's on YouTube today. Live streaming is a great feature of YouTube. Streaming videos live on YouTube is easy to set-up and broadcast. If you wanted to share your birthday party or wedding live with all those friends and relatives those who could not attend, YouTube live streaming is the best solution for it. Of course you can upload the event after it's done, but I can guarantee you that you won't be getting as excited as you watch it live. For example, consider watching a Football match after it's over and you already know who won the match. Now, consider watching a match live. Which one would you go mad for? Live! is't it? Go to YouTube.com and Sign in into your YouTube account. Click on your name on the top right and then click on YouTube Settings. You will be shown a page with your YouTube Account Settings Overview. Find View Additional Features link under Additional Features and click on it. Scroll down and find Live events option. Enable it if it is not showing in green. If it's green that means you are set up to live stream an event on YouTube. Now, Click on the Video Manager, A page is loaded with all of your uploaded videos showing on it. We've nothing to do with this section now. Click on Live Events. If you are not showing up any live event, you would see the message in big bold characters saying "There are currently no upcoming events. Schedule a new event". You can click on that link to create a new live stream or New live event button. A new live event creation page would be shown where you can give a title & description of the event along with the time of the event to go live. You can also set advanced settings and also can monetize your live event just as you can do while uploading a pre-recorded video. When you are done, click on Go live now button. You will be asked to click Ok to go live on air by entering Google+ hangouts. Click on Ok button to make the moments live. You can delete the events that are scheduled or on air. Come back to Live Events in Video Manager. Select the events you wanted to delete. Click on Actions and choose Delete. You will be notified with a green message ribbon saying that the events are deleted. Downloading videos from YouTube with the help of one tool and converting them using another isn't a great idea. Think about downloading and converting the video into high quality MP3 with only one tool! Isn't that a better idea than previous one? I too know there are a lot of tools available on the internet but they'd just drag out the quality of the converted MP3 or the length of the video into compromised MP3 trailer. If so what's the point of converting the entire video into MP3? This is why I bring you some cool online tools that downloads and converts YouTube videos into full length High Quality MP3. The following are the some of the best tools to download MP3 converted YouTube videos on to your computer. 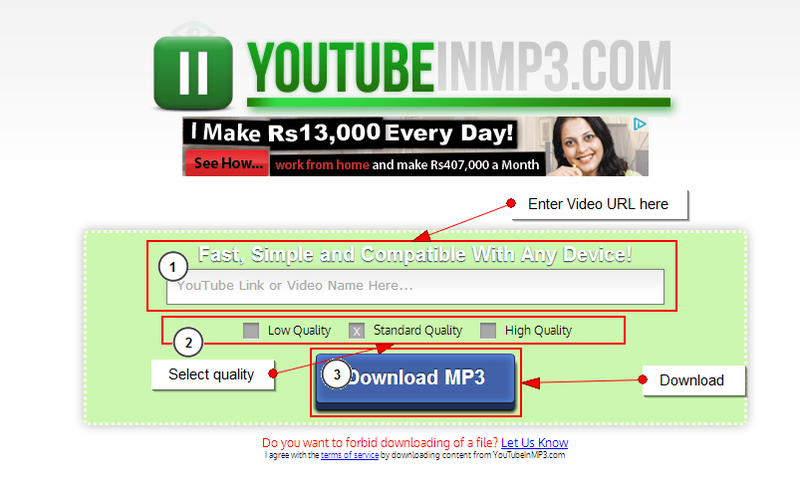 Convert Me MP3 tool allow users to download YouTube videos in different MP3 qualities. The longer the video, the longer the time it takes to convert it. Also choosing higher quality would also take enough time in converting the files. TheYouMP3 tool automatically converts the video into high quality MP3 format. It doesn't allow users to choose the quality to be converted into but converts the video into best possible quality MP3 format. HDDownloader allow users to choose MP3 quality in 128, 192 256 Kpbs along with the different other formats. YouTube videos can be converted into ringtones by using the ''Convert to Ringtone' option. IXConverter is an online conversion tool that is helpful in converting MP3 into standard and high quality formats. By using this tool YouTube video can also be directly converted and downloaded into other video formats like FLV, 3GP, MP4 and AVI. YouTube in MP3 provides three quality options of MP3, low, medium and high quality. Enter the video URL, choose the format and simply hit the download MP3 button. There are many tools available on the internet that convert YouTube videos into high quality MP3. The above specified ones are some of them those picked out randomly. Share your opinions in comments! YouTube allow users to embed its videos any where on the internet unless and until you violate its policies. You can disable the YouTube branding on the flash player when embedded in your website. You can observe the following video embedded, with and without the YouTube logo on the top or bottom right corners of the screen when the mouse is hovered on it. How to Remove YoutTube logo? ‘modestbranding’ is the attribute that lets you use a YouTube player that does not show a YouTube logo. Set the parameter value to ‘1’ to prevent the YouTube logo from displaying in the control bar. Note that a small ‘YouTube’ text label will still display in the upper-right corner of a paused video when the user's mouse pointer hovers over the player. YouTube supports many attributes like this to ease the embedding of its videos on to the websites for the users. We’ll be discussing about them in the future articles.